Vertigo is common symptom experienced by people as they get older. Not everyone who experiences vertigo shares the same common underlying condition, and because of this, triggers can vary as well. For example, visual vertigo involves seeing repeating or moving patterns that cause an episode of vertigo to occur. Let’s take a close look at this specific type of vertigo. Researchers don’t agree on what causes visual vertigo, but there are many theories. One is that the mind is confused by what it sees in comparison to what it expected to see. Triggers are usually on a large visual scale such as watching cars in traffic, clouds overhead, or a large movie screen. Passing by repeating displays, such as an aisle of cans in a grocery store, is also a common trigger. 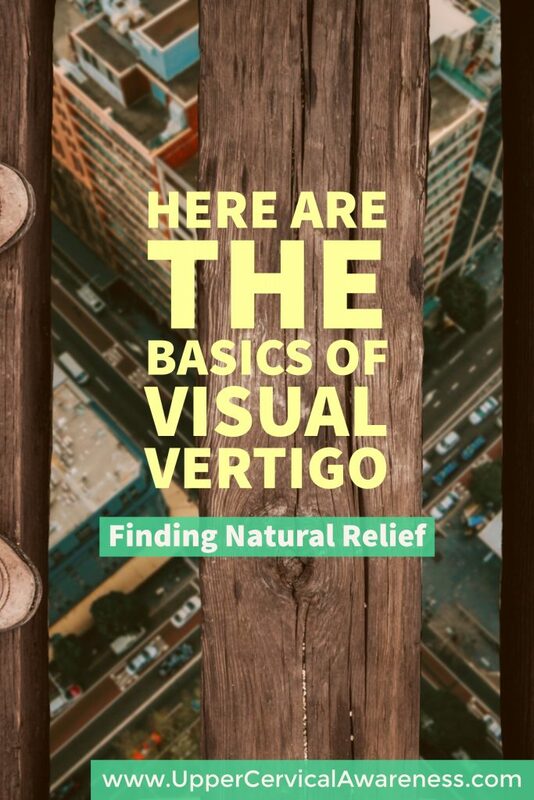 There is a connection between the 4 contributing factors to vertigo that are noted above. Each is related to a misalignment of the upper cervical spine. Such a misalignment can occur during traumatic injuries including whiplash or a concussion, and migraines are often associated with this underlying problem. So it makes sense to examine the upper cervical spine for misalignments if a person is experiencing visual vertigo. An upper cervical chiropractor is specifically trained to identify and gently correct such misalignments. As a result, many patients find that a precise adjustment of the C1 and C2 vertebrae leads to fewer or less intense episodes of vertigo. In fact, in some case studies, as many as 80% of the participants found complete relief from vertigo. Contact an upper cervical chiropractor near you to learn more.